The date was Sunday, February 4, 2019. Do you remember what you were doing? Yes, we know it’s a dumb question. As a devoted denizen of Patriots Nation, you were watching Belichick, Brady, and co. power their way to a 13-3 win over Los Angeles Rams in Super Bowl LIII. The historic game made for some super social media posts from New England’s corps of big personalities. And since the Pats proved all the Super Bowl predictions correct when claiming their sixth Lombardi Trophy, they earned the right to be a little cheeky on Instagram. Here are a few of our faves. RB Michel broke into the NFL last season in a big way. The 2018 Draft first-rounder out of Georgia rushed for the Super Bowl’s lone touchdown en route to hoisting the Lombardi Trophy, his trusted travel companion. Michel took Lombardi with him for an appearance on Jimmy Kimmel Live!, an experience he shared on Instagram in a comical exchange with the late-night host. Michel proved a showbiz natural, showing off his Super Bowl grill and cracking jokes. We can’t leave out an Edelman Insta-moment. The Super Bowl MVP finished the game with 10 catches and 141 yards, more than half of the Pats’ total receiving yards. The week following the Super Bowl, Edelman appeared on The Ellen Show where he cut off his famous playoff beard. 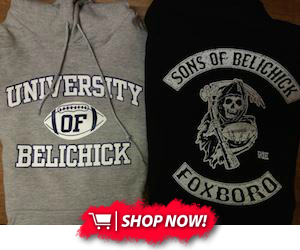 Seated in a barbershop chair with a Pats logo emblazoned cape draped over his front, Edelman posted the moment when host Ellen DeGeneres took the razor to his beard. The ever-charitable WR made it all for a cause, nabbing a $10,000 donation from Ellen for the Boys and Girls Club of Boston. Edelman matched Ellen’s amount for a $20,000 total donation. With an attitude the size of the Super Bowl itself, you’d expect to find some kind of over-the-top overture on Gronk’s Instagram. He saved the typical Gronk show for Brady’s IG (keep reading) and acknowledged the Pats' victory rather understatedly. The image Gronk posted is of a post-game moment of bewilderment, his mouth wide open in a speechless smile, a Super Bowl champs hat on his head. 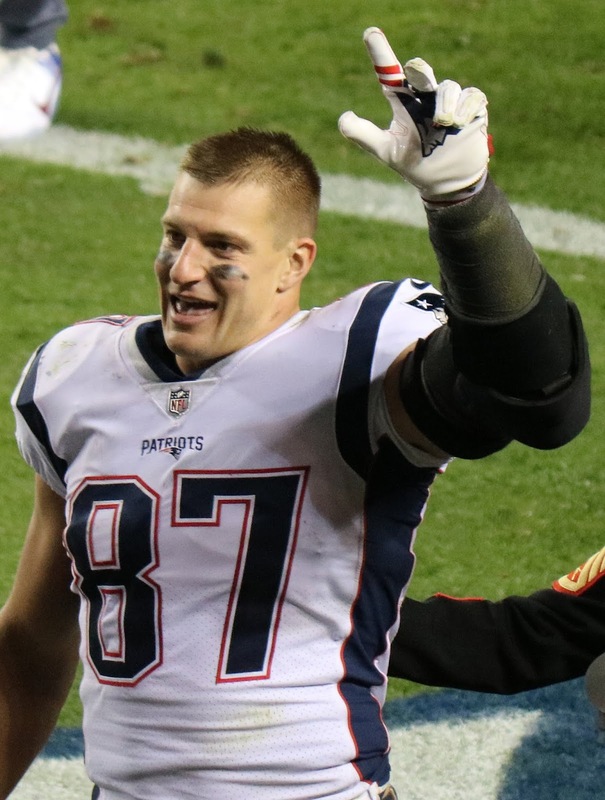 Even though Gronk is a man of a thousand words, the post proves he can say even more with the right photo. We saved the best for last. Our favorite Patriots social media moment this NFL season was actually a series of two posts on Brady’s Instagram account celebrating the AFC championship and Super Bowl victory. 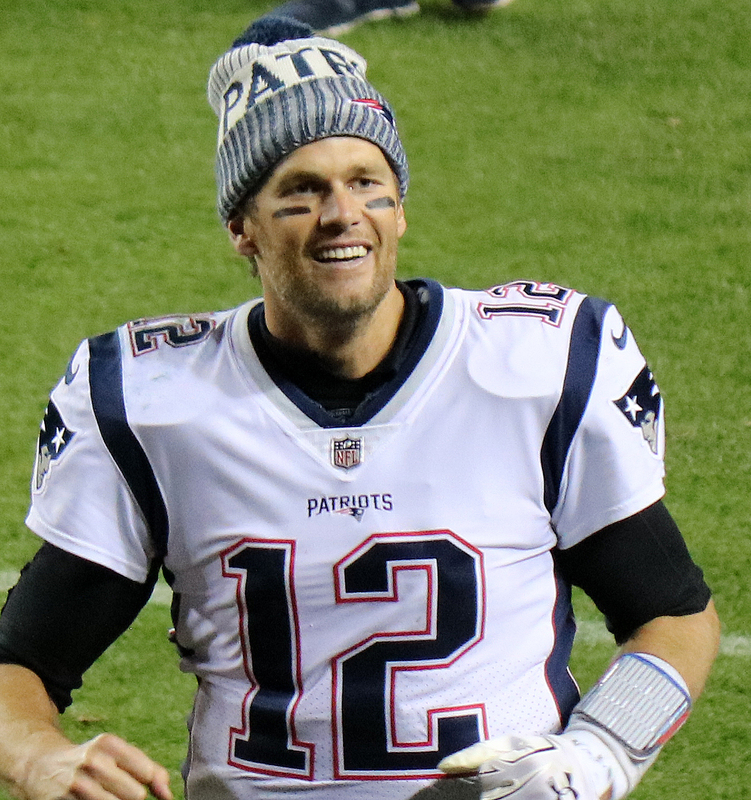 In a short clip posted January 21, Brady, clad in a black ski cap and fur-lined jacket, paces through the underbelly of Kansas City’s Arrowhead Stadium while shooting a smug, confident smile to the camera. Gronk, wearing an AFC champions t-shirt, struts alongside the QB. He shares an equally mischievous grin and performs an “I told you so!” shoulder shrug. The clip goes on to show the Pats winning drive against the Chiefs, closing with the team logo and message “STILL HERE.” Puff Daddy’s cocky anthem “Bad Boys for Life” plays over the otherwise wordless clip. Brady posted a similar clip on February 4 following the Pats 13-3 victory over the Los Angeles Rams in Super Bowl LIII. The video opens with twin-GOATs Brady and Gronk standing side-by-side. Once again the duo are silent. They flash the kind of wide smiles that can only come from assured champions and some hilarious head nods. The clip cuts to footage of Stephon Gilmore’s critical fourth-quarter interception and a postgame pan-out of the Pats on the winner’s stage. A “STILL HERE...TO BE CONTINUED…” message prophetically closes the clip. The appropriately titled “Without Me” scores with its hypnotic hook of “Guess who's back / back again / Shady’s back / tell a friend / guess who’s back, guess who’s back..” scores the 31-second clip. Brady’s accompanying comment to the post is priceless: “THE W.” These guys could easily go into social media branding if they weren’t so good at football.